Stunning full custom Jason Clark dress flipper! 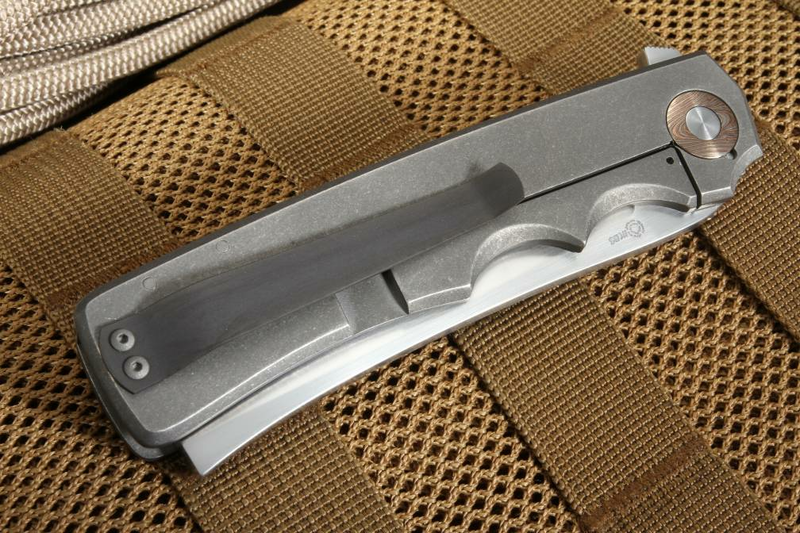 The blade is stainless CPM-154 with deep hollow grinds, hand satin finish with a 59-60 RC Hardness. Flipper is file worked for extra traction and the flipper also serves as an index finger guard in the open position. 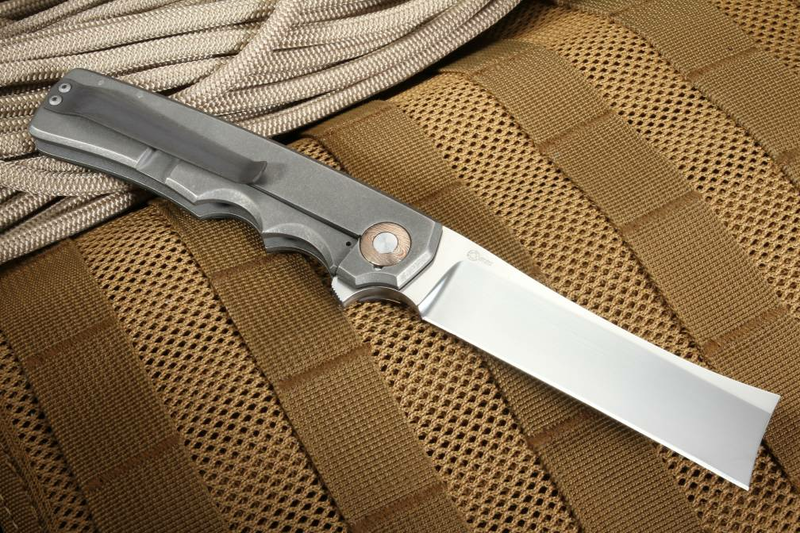 The locking side of the handle is composed of a solid frame lock of stone washed titanium. 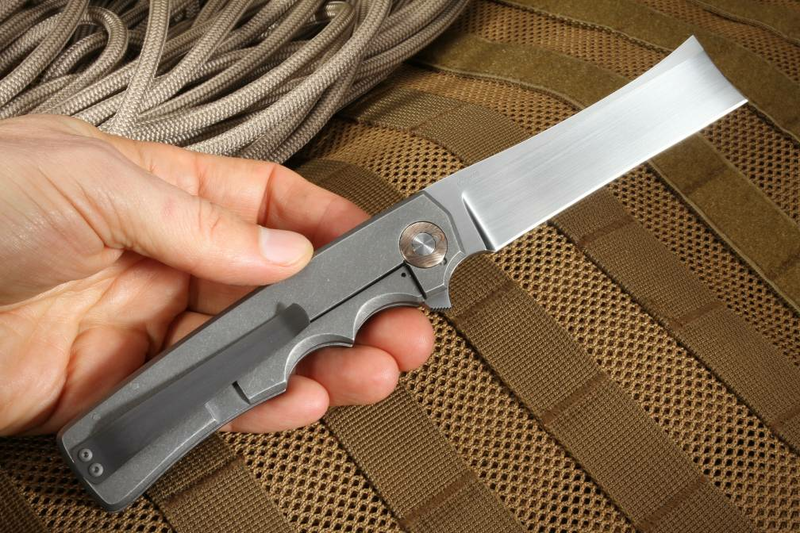 The locking side of the handle features a black coated titanium pocket clip mounted for tip up carry. Handle spacer is hand file worked stainless steel. The face side of the handle has a stone washed titanium liner with marble pattern carbon fiber scale and a damatitanium bolster. The pivot is IKBS bearing pivot mounted in a mokume collar. 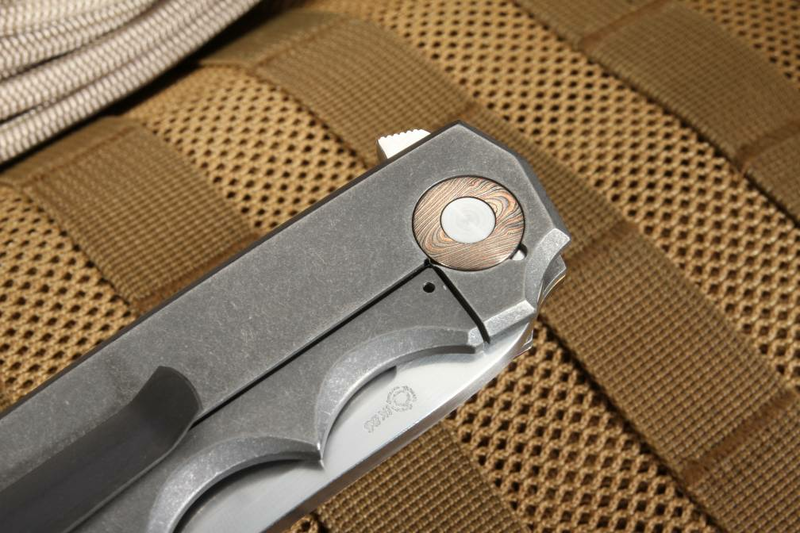 The bearing pivot allows for lightning-fast one-handed opening. 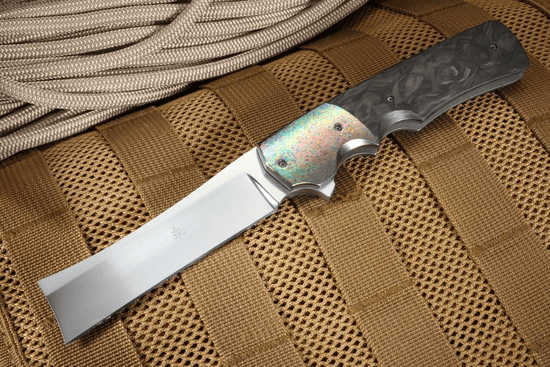 KnifeArt.com is proud to represent Jason Clark custom knives. Made with pride and precision in the USA.